This site is a work-in-progress as I reorganize and add material in an effort to help those new to the game learn how to play. If you already have the Beginner Box, then all of this should look familiar and will hopefully prove to be a helpful resource for your games. The best way to learn is by example. Check out the online, "click your path", solo adventure "The Skeleton King's Crypt". Our first adventure for four 2nd-3rd level PCs. Download it and the optional battle tiles PDF for free. The adventure includes monster pawns you can print as well. Enjoy! "The lands are cursed by a Winter Dragon after it captures the first fairy of Spring and imprisons her in its lair. The curse makes it impossible to start fires—-leaving Woodside and other nearby villages unable to cook or create heat to warm themselves. A group of bold adventures must brave the numbing cold, defeat the dragon and free the fairy before the kingdom is frozen forever!" 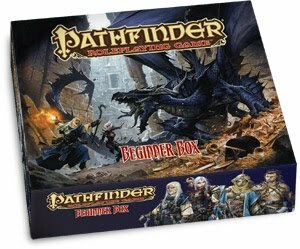 This website provides an introduction to Paizo's Pathfinder Roleplaying Game, using OGL and other material provided by Paizo through their Community Use Policy. The game uses six different kinds of dice: a d4, a d6, a d8, two different d10's, a d12 and a d20. Sometimes you will be asked to roll "3d6" or "2d10", for example. This means you should roll three six-sided dice and two ten-sided dice, respectively. Occasionally, you may be asked to add or subtract from the total, such as "4d6+4" or "1d4-1". If you multiply or divide a number and you have a fraction left over, you usually round down to the closest whole number (even if that would be 0). For example, if you roll a 7 and have to divide by 2, round down the 3–1/2 to just 3. 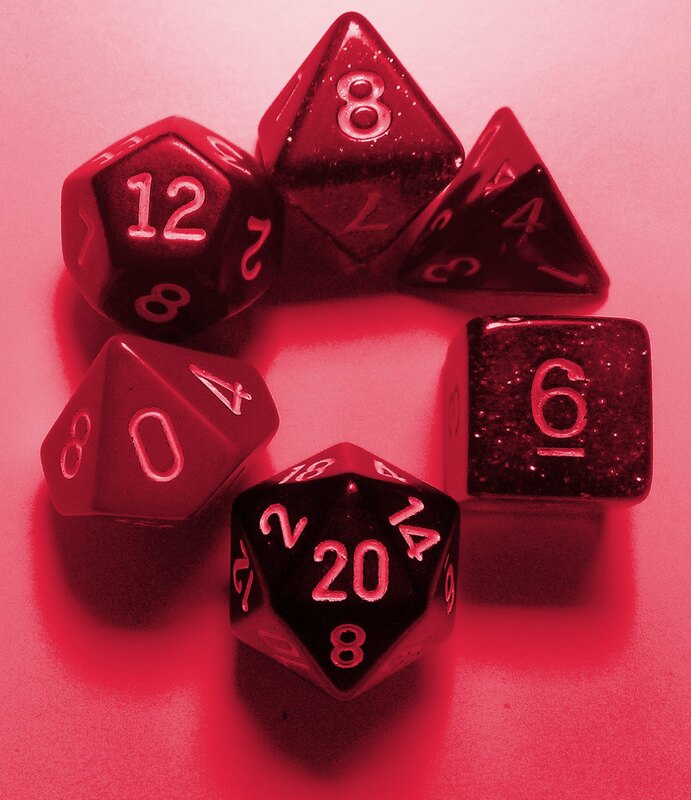 The d10, d12, and d20 have a little line or dot under the 6 and the 9 so you can tell those two numbers apart. To roll d100 or d%, roll 2d10, making sure to assign which die is the 10's and which is the one's, unless your set clearly denotes this. Example: if the dice roll 50 and 7, that’s 57. If they roll 0 and 5, that’s 05. If they roll 0 and 0, that’s 100. WHERE TO GO AFTER 5TH LEVEL? Once you have a firm grasp of the basics provided by this website, head on over to Paizo's PRD or the excellent d20pfsrd.com. Ready to buy the core rules? Order the Core Rulebook from Paizo--rules for the players and gamemasters in one book! WHERE TO ASK QUESTIONS OR DISCUSS THE GAME? Head over to the Paizo messageboards for Beginner Box discussions. PFBeginner header background based on photo 'Red Grunge Wallpaper' by: JR Goodwin (moosebite).